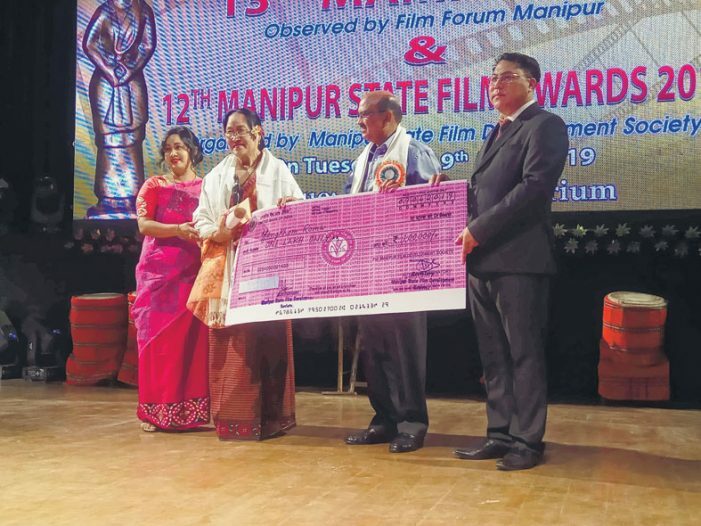 Veteran actor Yengkhom Roma was honoured with Lifetime Achievement Award of Manipur State Film Development Society (MSFDS) while renowned actors - Khwairakpam Vishwamitra and Saroja Chongtham were awarded best actor awards in feature film category. The awards were conferred to the actors during the 12th Manipur State Film Awards ceremony as a part of 13th Mami Numit celebration at the premises of MSFDS. Vishwamitra was conferred with the Best Actor Award (male) for his role in the film Taibang Keithel. Saroja was honoured with Best Actor Award (female) for her role in the feature film Laman Amagi. Best direction award in non-feature film category was given to renowned film maker and director Aribam Shyam Sharma for his work on 'Ras Lila' while Guru Rewben Mashangva was given the award for best music direction for 'My generous village' in the same category. Ras Lila also won the best non-feature film award with its cinematographer Irom Maipak and audiographer Samurailatpam Subhas winning the best cinematography and best audiography awards respectively. 'Yours' faithfully' won the best short film award. Best (film) Critic Award was given to Herojit Nongmaithem while Best Book Award was given to Yambem Tombi for his work on "Film gi Khongchat, Punsigi Mathel" . O Goutam won Best Direction Award and Best Screenplay Award for his work in Aruba Echel. Best Playback Singer Award (female) was given to Umolata (film - Maram Chanu) while Thotreiso Keishing was awarded Best Playback Singer (male) (film - Wonnam) . Chief Secretary J Suresh Babu, Art and Culture Commissioner M Lakshmikumar, Film Forum Manipur chairman S Mangoljao and veteran Manipuri film actor K Tomba attended the event as primordium members.